Designed for under platform use - stows easily and compactly. 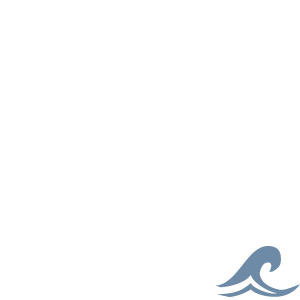 Ideal for installations under swim platforms or under the deck on bow or side of pontoon boats. 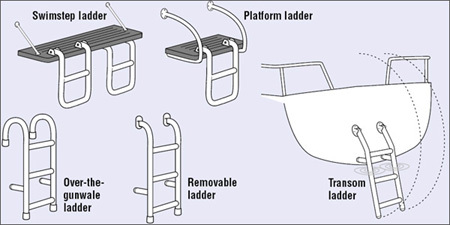 Nylon bushings between ladder sections prevent inadvertent deployment when flipping ladder into the water. 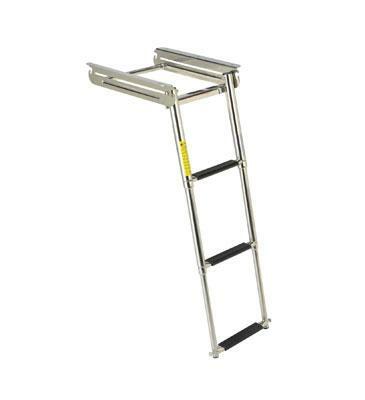 Ladder stows compactly within its own length. Spring loaded self-locking for stowage. Electropolished 304 stainless steel - rated to 275 lbs. Flat poly treads for increased comfort. 3 Steps, Length deployed: 33.5" (85cm), Length stowed: 16" (41cm), overall height: 3" (8cm), Width: 11.5" (29cm). Support frame Length 14.75" (37cm), Width 13.75" (35cm). Three 1/4" mount holes on each side, 6" spacing.